The partnership will see SPOTCHECK available to consumers for the first time. Spotcheck health kiosk will be now available at CRYO’s flagship location, The Boulevard, Emirates Towers, Dubai. Dubai, UAE (January 31, 2019): Dubai-based innovative health and wellness platform, SPOTCHECK, has partnered with global leading cryotherapy provider, CRYO, and will offer CRYO’s clients its innovative preventative health assessment service. The partnership marks SPOTCHECK’s first foray into the consumer marketplace as it has previously only been available within corporate and government organizations. CRYO, which operates eight clinics globally, provides a range of futuristic cryotherapy treatments for health, beauty, recovery and weight loss. 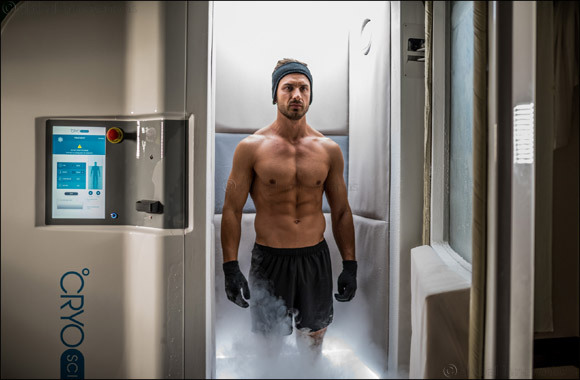 Cryotherapy is an innovative treatment where the body is exposed to subzero temperatures in order to stimulate multiple physical and mental health benefits. CRYO also offers the most advanced Elemis Biotec Facial treatments, that produces visible results and long-term benefits for the skin. Currently, there are three clinics within the UAE, one located in The Boulevard, Emirates Towers, Dubai, one in Beauty Connection Spa, Dubai and the other at Abu Dhabi Country Club. Technology, will assess 30 health parameters including stress analysis, fatigue index, hydration level, heart rate variability and vascular health analysis. Its availability at CRYO will further the company’s endeavours to encourage clients to take a holistic approach to their wellbeing. They will be able to use their personalized data to monitor the progress of their personal wellness goals as well as measure the effectiveness of their cryotherapy treatment over time.